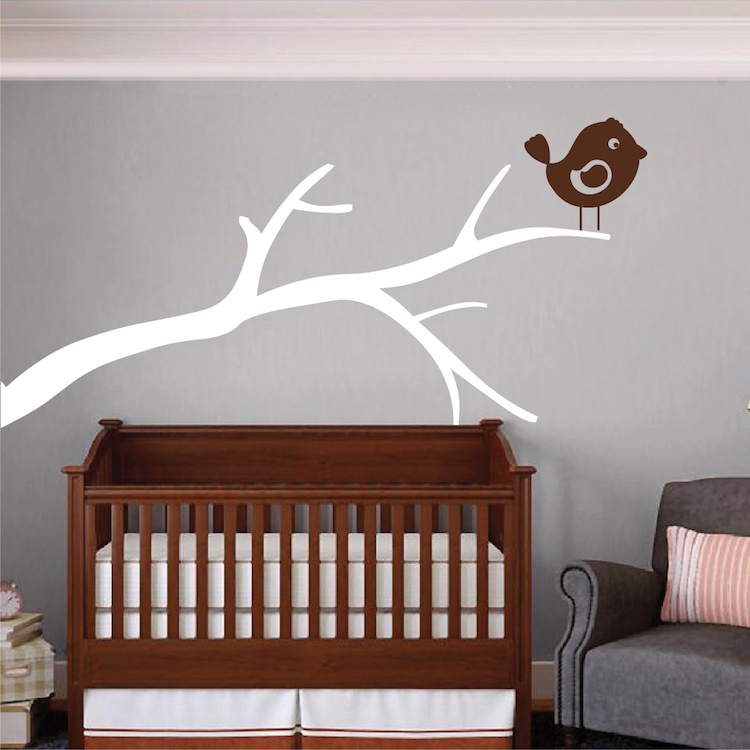 The Bird on a Branch Wall Decal is an inexpensive and cheery way to brighten any room! Have a blast brightening up your office. Create some memories with your kids while cheering up their room! 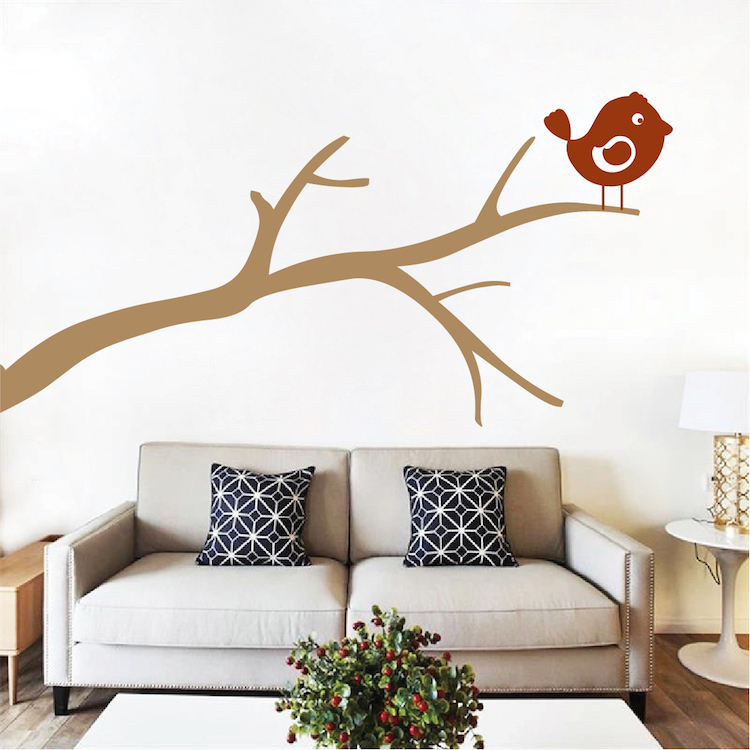 The Bird on a Branch Wall Decal is easy to install without the hassle of cleaning a brush, roller, or drop cloth when you’re done! Just a touch of fun is all you need to include! 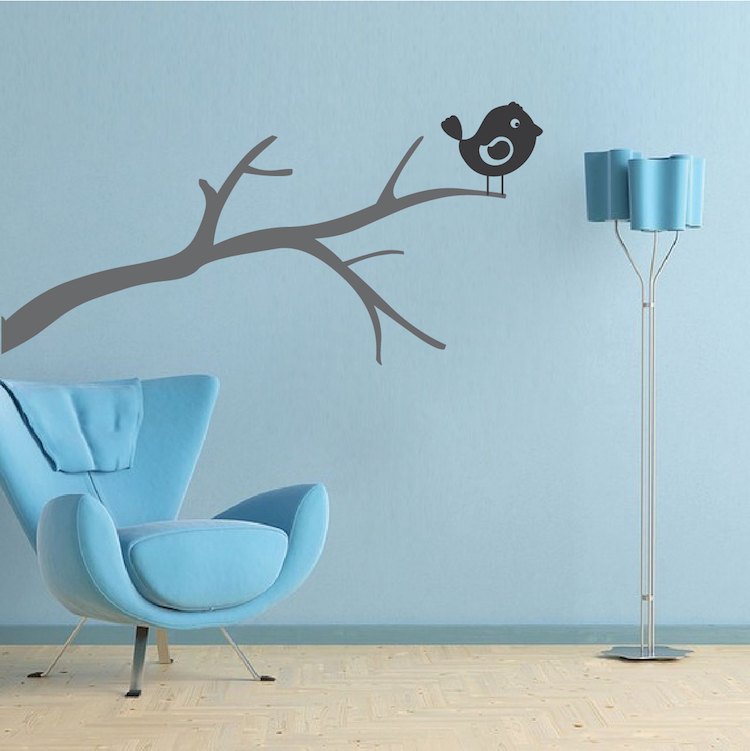 The Bird on a Branch Wall Decal is made from 100% interior safe, removable vinyl that appears painted right on the walls! Perfect for permanent or temporary decorating! The branch is available in 3 different sizes. All wall decals are available in multiple sizes and over 40 different colors! Sizes within a close approximation. I want it something simple for the corner of my wall. It's simple and Cute. Exactly what i was looking for. I like it a lot.